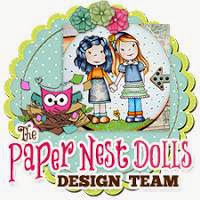 Hello my friends....it's time for another Paper Nest Dolls 'Anything Goes' challenge. This one starts today, 3/31/14 and ends on 4/11/14. I made a cute little hanging pennant. You could use it as a door hanger if you wanted to. I used my Wink of Stella pen and colored in the bubble and then covered it with glossy accents to make it shiny. We're offering to one grand prize winner (randomly selected) a $20 online gift certificate for the Top pick when a Paper Nest Dolls image is used in their entry. One free digital image each for the Top 3 randomly selected entries (not required to use a Paper Nest Dolls image) will be given as well. Winners will be announced on the challenge blog on 4/13. Remember you have until 4/11 to enter your creations on the Paper Nest Challenge Blog HERE. I can't wait to see what you create! Have I got some exciting news! I have been asked to be a part of The Scrapbooking Queen's Royal Challenge design team. See? I always knew in my heart I was a Princess!!!! 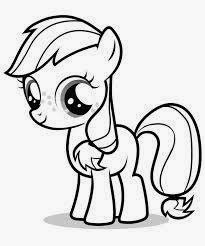 The Scrapbooking Queen (aka Theresa) runs a monthly challenge and this month it's challenge "#5 My Little Pony". 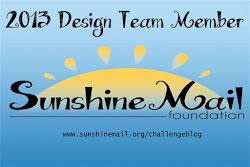 If you go to the challenge blog HERE, you can download the IMAGE needed to participate in this month's challenge and check out what the design team came up with. You MUST use the same image the design team uses in order to be eligible for the 'Royal' prize pack.You can make any type of project you'd like (i.e. card, layout, altered item, etc.). So put on your creative hat and join us. For my project this month I colored the image in shades of pink...who doesn't LOVE pink?? And as I was searching for a sentiment for my card I came across a stamp set from Mama Elephant that had the sentiment "PINKY PROMISE'...how perfect is that for my little pink pony?????? Now I tried something on this card that I've never done before. I printed the digital image a few times and cut them out to stack them to make a 3D image....I think it looks really cool! Now it's time to see what you create for the challenge. You have until April, 29, 2014 to link up your project. Thanks for stopping by and hope to see you again soon! 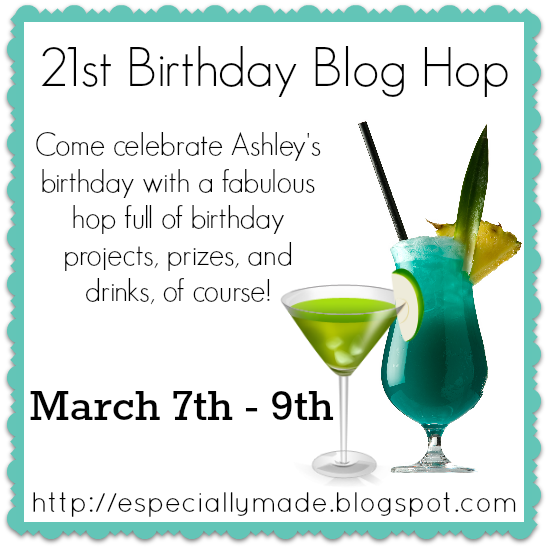 Welcome to Day 1 of Ashley's 21st Birthday Blog Hop! We are so glad you could join us! 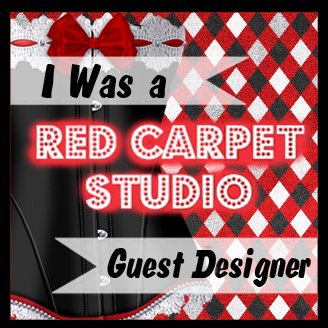 If you've come from Jasmina's blog, you're in the right place! If you have just come across the hop and would like to start at the beginning, please visit Ashley at Made Especially For You. This weekend we are celebrating Ashley's 21st Birthday with some fun and creative, birthday/alcohol-themed projects! It's not 21 without a drink or two, right?! Before we get too far into this post I'd like to take the time to wish Ashley a HAPPY 21st BIRTHDAY. When I met her I knew she was young but I had no idea just how 'young'. Have a great birthday and enjoy checking out all the projects made for you by all your friends!! I'm honored to be a part of it. I made a fun little banner for Ashley. I used various black and white papers, hot pink chipboard letters, black flowers and a few various embellishments. We have 21 fabulous sponsors providing 21 fabulous prizes for those who hop with us, and because there are so many of them, we have included all the prize information in the second stop of the lineup. To be eligible to win, you must... - Leave a comment on EVERY stop of BOTH days of the hop Winners will be randomly chosen and announced on Friday March 14th at Made Especially For You. Your next stop is Abby N's blog. Here's the complete lineup in case you get lost along the way... Ashley Hop Prizes Tonya Nikki Julie K.
Hello my friends.....Today starts the next challenge for Paper Nest Dolls and it's still an 'Anything Goes' challenge but the design team decided to include 'fun folds' as well. Challenge runs through 3/14. My card includes an image called 'Punk Avery' and she's available as a rubber stamp in the PND online store. Check out the store and all the cute images HERE. I love this punk little girl...how fun was it to color pink hair???? She was colored with my COPIC markers and the papers used were from Doodlebug Designs, Inc 'Take Note' Collection. Here is a close up of little Miss Avery. We're offering to one grand prize winner (randomly selected) a $20 online gift certificate for the Top pick when a Paper Nest Dolls image is used in their entry. One free digital image each for the Top 3 randomly selected entries (not required to use a Paper Nest Dolls image) will be given as well. Winners will be announced on the challenge blog on 3/16. Remember you have until 3/14 to enter your creations on the Paper Nest Challenge Blog HERE. I can't wait to see what you create!